With the explosion of smartphones onto the national consciousness, this turn of events has led to an increased discussion about the 3G phone, versus the benefits of a 4G phone. Since so many consumers are baffled by this topic, the time has come for a closer investigation into the differences between the two. First and foremost, the G in 3G or 4G stands for generation of mobilized technology. 3G cellphones made their first appearance back in 2003 and are now incredibly varied, as a person is able to receive Internet speeds that start off at 400Kbps and can range up to ten times that amount. While a 4G phone is typically built to be even faster than that the 3G phone, this is not always what ends up taking place. 4G phones are now much more popular than 3G and essentially everyone who has a phone either carries a 4G or wishes to find an upgrade. 4G phones are the device of choice for those who use their phones to download music, movies and other forms of media. 3G phones are not typically equipped to handle requests of this nature, which is why so many users have made the upgrade. However, 4G users must remain cognizant of their data limits, because it is much easier to go over what the carrier allows. If you are concerned about purchasing a phone that will stand the test of time and be able to handle future innovations, 4G is the way to go. People who are less concerned with downloading media and viewing it on their smartphone may decide to save a few dollars and pick up a 3G cellphone instead. Consumers who merely need a cellphone for voice and text usage should opt for the 3G model. Purchasing a 4G phone to handle these simple needs means spending additional money and cutting your phone’s battery life capabilities short. Buying a phone to operate on a high speed network when you do not actually need one is a gross misuse of resources. Before obtaining a 4G phone, make sure the area where you work and reside is 4G compliant. Otherwise, you could be purchasing a phone that will not even function properly. Should you select a 4G phone anyway, battery life becomes a constant issue. The phone will continue to seek out a 4G connection, even when there is not one present, draining your battery power significantly. Unless you are a person who regularly uses your phone for downloading music, watching movies and other data related pursuits, save your money and purchase a 4G phone. Those of you who wish to be prepared for the future should select a 4G phone, so that you are not forced to purchase a new phone every time technology advances. In this article, we will be discussing the differences between Firewire and USB cables, which cable you should be using and when you should be using them. Firewire and USB are two separate cables that enable various technologies to be ran to computers. The two do not work jointly. You cannot connect the USB into a firewire port and you can’t connect a firewire to a USB port. That’s why there exists a requirement for a firewire to USB adapter. Often a lot of these adapters may be expensive or difficult to find, but they’re undoubtedly on the market. Many individuals worry that their firewire devices are useless because they do not possess a firewire to USB adapter and just possess a USB option for a port. Or maybe they might be worried that their USB products are worthless should they have firewire port and no firewire to USB adapter. A superb option for people in this particular position is a Firewire/USB hub. That is some thing you will plug into either your firewire or USB port plus it offers you a choice of a port for both firewire or USB. You can find still another choice for people that are having a hard time handling lacking the firewire port or a USB port. You can add another card to your laptop or computer for the absent component you are looking for. That’s assuming it has an extra slot in your computer. This will likely solve the need for a USB or firewire port once and for all. 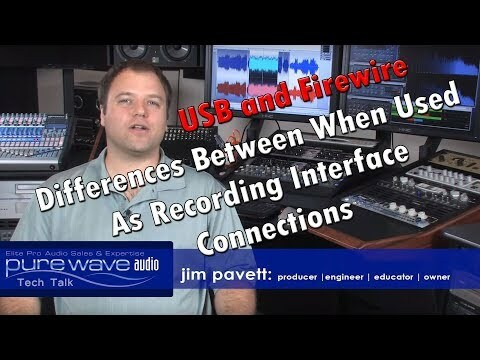 While a computer usb port are prepared for a lot more devices, firewire is a much quicker alternative. Firewire is able to do a data transfer at up to 800 Mbps, whilst USB only provides twelve Mbps. So according to your requirements, either can be successful. Personally, on my own computer I just work with a number of USB ports. I don’t require the increased speed offered by firewire. I’ve got a port coming out of my laptop which is hooked in an adapter providing you with a number of USB ports. One intended for my printer, Ipod, cellular phone charger, and some others which I use randomly for different jobs. Having said that, I am aware many folks wish to take advantage of the speed of firewire. Many of these individuals who work in situations where a lot of information is needed to be transferred can’t seem to use the USB cables to fulfill their demands. There are various selections out there, including USB 2.0, which is a USB port that transfers at a faster rate. It isn’t quite as fast as firewire, but much faster compared to first USB port. 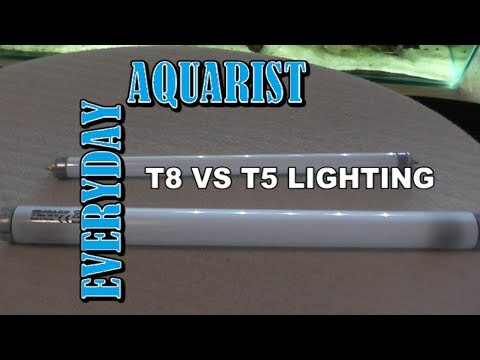 Is there a real significant difference between t5 and t8 lighting? It depends on what part you study. The lighting aspects are one thing and the cost is another. 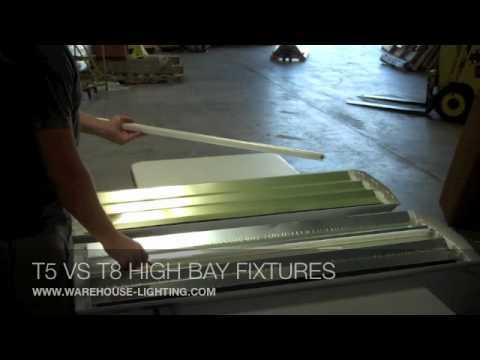 With this fluorescent technology the t5 lighting could actually cost you twice as much as the t8 lighting. The “T” in the t5 and t8 is just an identifier code that tells you the size of the bulb. Because of all the emphasis being put on energy conservation these days, these codes help people determine the efficiency of the bulb as well as the lamp tube diameter. The t5 bulbs are about the size of a dime in diameter. The t8 bulbs are around the same size as a nickel. That means a t5 bulb is smaller. At first glance it would appear that a t5 bulb will give you the most efficiency due to its smaller size. However, when you consider the costs involved you might come away with a different opinion. The standard t8 lamp stands about 4 feet high and costs somewhere between $3 and $5. The standard t5 costs you from $5.50 to $12.00. That should tell you that it will depend on how you use the bulbs as to which one gives you the best bang for your buck. You are paying twice as much upfront for the t5 and what needs to be considered is the performance. Does the t5 outperform a t8 by that same “twice as much” margin? In some of your lower level interior application you’ll find that the difference is actually hard to distinguish. One of the main components when determining light bulb efficiency levels is light quality (lumen output or brightness). You need these figures to make an educated determination of the bulb’s efficiency. When all is said and done and measured accurately, the difference between the t5 and t8 depends on the application. It takes factoring in the technical aspects along with the costs to come to the right conclusion. One of the ways of measuring brightness is to compare CRI (color rendering index – light quality) and LPW (lumens per watt – light quantity). When you compare the two using these light quality and quantity measuring tools you find that the t5 ties the t8 on the CRI and barely beats it on the LPW (t8-90LPW and t5- 99LPW). So the t5 does squeak by the t8 when figured by CRI and LPW, but again, the application will play a huge role. A person should take the above figures and consider how they can justify the increased costs involved in the fixture, the lamp, and the ballast that they incur with the t5. All of these lighting systems (t5,t8,t12) and others, are constantly being tested out in various settings like factories, schools, office buildings, parking garages, and in extreme weather conditions. When it comes to extreme applications, the t5 just doesn’t have a proven track record. While the manufacturers may still be working out all the bugs, the t8 is already tried, tested, and proven and has a lower purchase cost. The t5, however, is still considered a ‘premium’ product and has yet to realize the costs of research and development. Smaller Cross Section and Size. Better LPW (lumens per watt) Efficacy. Differing Lumen Outputs Among Manufacturers. Changes in Light Output Between Enclosed Luminaries and Bare Lamps. Changes in Light Output Between Indirect and Direct Luminaries. Vertical versus Horizontal Burning Variables. Lumen Variations between 25 degrees and 35 degrees Resulting in a gain or loss of 10% light output. Reduction of Lamp Life when PS is Not Used (IS is good for long-term use). Come in Various Color Temperatures, Color Renditions, and Lengths. Less Fragile When Compared to a t5. Easy to Use For Replacing t12s. Good Lumens at ‘End of life’. Uses PS When Sensors are Deployed. Costs Less Than the t5s Now. The IS and Sensors Reduce the Lamp Life. The Lamp Contacts Cannot be in Contact with Grounding Areas. Lamps Fail When Replaced Without Shutting Power Off. Lamps are Incompatible With Ballasts. Lamps Fail When Not Being Used in the Ambient Temperatures They Were Designed For. and the electronic ballasts are the more expensive of the two. However, they are also more energy efficient and over time can save money. They also generate less heat while in operation and save on air conditioning energy. It comes down to the fact that a t5 creates more usable light than the t8. Even though that’s true, it is not so superior that it renders the t8 as being obsolete like the t12. There are future LED technologies that are expected to make both the t5 and the t8 obsolete, however, they are still in the making and have not made their way into the mix as of yet. So for now, the battle continues between the t5 and t8 in regard to energy efficiency and use in various applications. 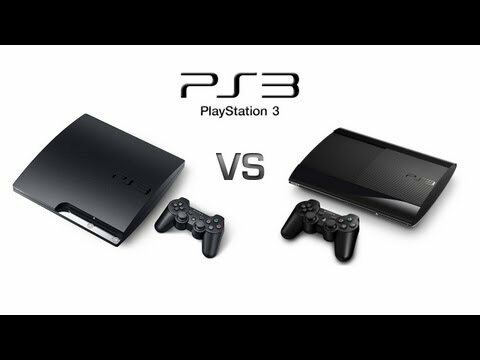 When it comes to gaming consoles, there is a lot of debate about the PS3 and whether the PS3 Slim is the better option. To help distinguish between the various PS3 models that are out on the market, gamers have chosen to call the standard PS3 a “Fat PS3” so that people don’t confuse it with the slim model. The PS3 Slim is a slimmed down version of the PS3. This means that it is smaller and takes up less room in an entertainment center, on a desk, or anywhere else it is being placed. It’s also important to note that the PS3 Slim is just the nickname. For anyone who wants to buy on, it is sold under the name PS3 120 GB. There’s an overpriced vertical stand that goes along with the PS3 Slim, so if you do want to stand it up, be prepared to spend a little more to do so. This means that the savings on space comes with a price tag that not everyone is going to want to pay for. The PS3 has more USB ports and that is because it is larger. As soon as Sony decided they wanted to offer a slimmer version, some of the USB ports were amongst the first to go. The Fat version has four USB ports, and there are only two on the PS3 Slim. You will also find that there is no media card reader, which is not surprising because the PS3 Fat does not have one, either. The PS3 Slim does not have the “Install Other OS” feature that the PS3 has, but there are some modifications within the PS3 that you should know about as it enhances the performance quite dramatically. With the “Install Other OS” being removed, you are no longer able to get Linux support. The standard PS3 in the 80 and 160 GB versions still support Linux. However, all new models that Sony puts on the market will eliminate this feature because they want to standardize the operating system. No matter what, there will always be an open source hack available should you want to change that. There’s 120 GB within the PS3 slim as opposed to the 80 GB that is in the pS3 Fat version. There is also talk that Sony is going to be released 150 GB and 250 GB in the very near future. Either way, you also have the ability to open up the unit and put a SATA hard disk in from your laptop and it won’t void the manufacturer warranty when you do it. The PS3 Slim also won’t have the 3.0 Firmware installed. This is because the firmware update is released on the same day as the slim. This means that as soon as you get it out of the box, you will have to sit through the update. On later units, however, Sony has already said that it will be pre-installed. The other part about the PS3 Slim is that it’s not going to play older PS2 games. If you have a large number of older model games that you still enjoy playing, there are some choices to be made. You can either choose to part with them and upgrade to PS3 games that are similar, or opt for the PS3 Fat where you can still play them using software emulation. The PS3 Slim also features a Bravia link that the PS3 does not. This is a link for Sony HDTVs that have the link so that the XMB interface can be controlled with the TV remote. When the PS3 is turned off, the TV will power down at the same time. The PS3 Slim is of course slimmer than the standard PS3. It also has a matte finish, so it is more fingerprint and scratch resistant. Depending upon where your gaming console is to be located, this is an important feature to keep in mind. However, some reviewers have said that the slim looks a lot like a “Chinese knockoff”, so it is all about what you want the appearance of your unit to be, or if you don’t care one way or another. You will also find that there are no on/off switches on the PS3 Slim models. Instead, there is a standby power button found at the front of the machine. They are also physical buttons as opposed to touch style, and the eject button is the same way. 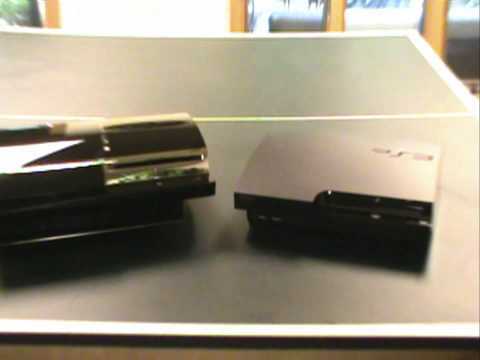 Overall, the PS3 and the PS3 Slim are both Sony PlayStation game consoles. The slim is simply the newer generation and is more what Sony is going to be releasing in the future. There are less USB ports, no media drive, and there is a Bravia Link. It doesn’t have Linux support and you won’t be able to play the PS2 games in the PS3 Slim. However, they both allow you to play all of the same PS3 games and you can use it to play Blu-Ray movies. The Slim has a smaller cell chip, so it consumes a little less power and it is a little bit faster. As for any of the other modifications, there are generally hacks that can be used to get the PS3 Slim to the version of the fat for anyone who doesn’t like some of what has changed. It’s all a matter of personal preferences within the appearance and performance. What it is the difference between LCD and LED display? With so many innovations in technology these days it is not hard to understand why shoppers are confused. The interesting thing is that these two terms are almost as similar as they are different. Let’s take a closer look at the similarities and differences in LCD and LED display. LCD stands for liquid crystal display; basically LCD’s are flat panel displays that do not emit their own light. Light can pass through the screen or be blocked. LCD displays tend to be a little thicker or wider than LED’s. Some even believe that this makes the thinner LED a better product. LED stands for Light emitting diode; LED’s also function by either allows light to pass through or blocks it. They both contain a double layer of polarized glass. 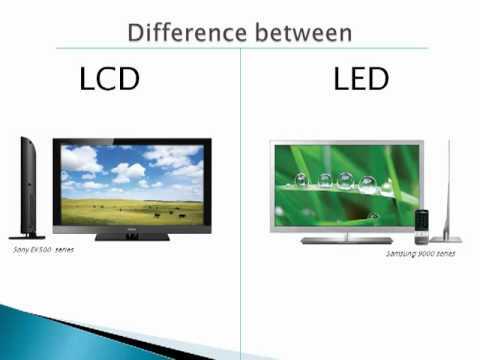 Now we see the similarity between the two, LED’s have been described as a subset of the original LCD design. One of the big difference between LCD and LED is that the liquid crystal display uses a fluorescent lights to provide elimination. LED on the other hand uses its name sake to provide elimination, light emitting diodes. 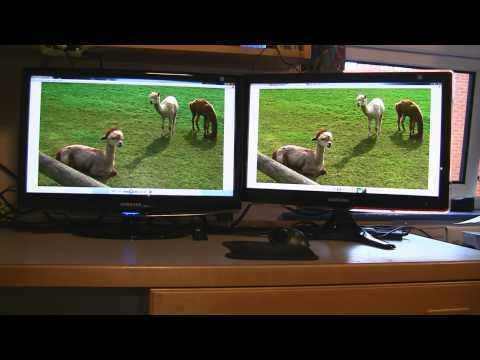 There are other differences between the two display types. The placement of the actual fluorescent light bulbs are behind the screen with a LCD display unite. On the other hand with LED the lights bulbs can be placed behind the screen as with the LCD, but are often placed along the side of the screen. The placement along the side of the screen allows for a thinner screen in the LED display. A more significant difference between the two is that the LED is a more efficient light energy source. The light emitting diode provides a cleaner more energy efficient source of energy, and is therefore often referred to as a green technology. In addition they also tend to provide not only cleaner energy but also a clearer picture, with a thinner screen. The reason for a clearer picture is partly due to a thinner screen. The bigger picture is that LED technology allows for a creator control of the color spectrums utilized while delivering light to the double polarized glass screens. Here in lies the major difference between LCD and LED, LED’s have the ability to control the color of light emitted. LED works with distinct red, green and blue lights. LED technology is truly a revolutionary change in the way a display can be viewed. It has the capability of producing more a more realistic color spectrum while providing a very clean and clear picture. Although for different reason both the LED and the LCD can have angle view and anti-glare problems within particular units based on their overall design properties. So, to summarize LCD and LED are similar in principle of design, yet often very defervesce when looking at the specific end products. To decide which technology is a better fit, it is best to look at the whole package. People like to listen to music is a common thing. But to listen to music there are literally dozens of devices out there that can get the job done. Nowadays people just use their smartphones and get things done with them but some people still use iPod’s and mp3 players. A lot of people don’t know this but there actually is a difference between these two other than the name. Some time ago people started to believe that an iPod and an mp3 player were exactly the same thing, mainly because they were starting to be seen as exactly the same thing, especially on the non-technical media. After all, they were both made for the same purpose and they are both pretty much incredibly popular. Essentially, an iPod is a type of mp3 player. The major difference that there is between an iPod and an mp3 player is that an iPod is exclusive to the Apple company, and anything that doesn’t come out of the Apple company is not an iPod. As an alternative, there is the Microsoft Zune, for example. Then there are the smaller differences. For example, an iPod cannot play songs on the .wma and .wmv formats, while most other mp3 players can. On top of that, the iPod does not have an SD card slot, while other mp3 players do so that the memory they have can be expanded. On top of that, the iPod has the scrolling wheel, which is limited to itself. Other competitors cannot have this since the Apple company managed to get it before they did. This is something that gave the iPod a lot of popularity, the wheel was incredibly handy to scroll. Most mp3 players have the FM radio feature while the iPod does not. This is something that could be very useful for users whenever they got bored of their own music or whenever they just wanted some company from the radio. Missing out on this wasn’t too positive for the iPod. Moreover, music is usually loaded into mp3 players through a computer. This is how people used to build their own music library but then iPod had a huge advantage when it came to this: iTunes. iTunes was the first major music store online that provided users with very affordable prices. As such, it took off and for being associated with iTunes, iPod sales skyrocketed over other mp3 players. Since music downloaded on iTunes doesn’t work on any other type of mp3 player except for the iPod, it is clear why it took off so well. After it took off, other manufacturers saw an opportunity to make some money and started producing accessories for the iPod. Those who are in the market for a quality e-reader often wonder what the difference is between Amazon’s popular e-reader, Kindle, and Barnes and Noble’s Nook. Each of them is sold by a different vendor, but the differences between the two e-readers go much deeper than that. 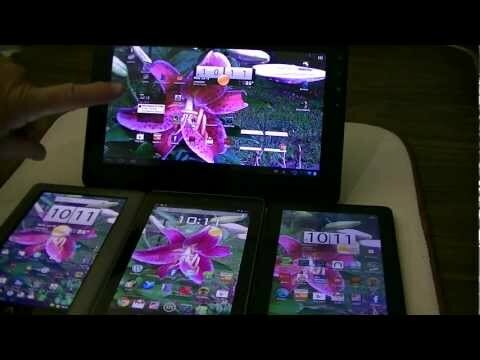 While their display screens and capabilities are very similar, those who have tested the Kindle’s responsiveness, as compared to the Nook’s, have found that the Kindle is much easier to use. The screen on the Nook moves much slower than the screen of the Kindle, which can be maddening for those who read quickly. Readers who are in middle of a sentence when they wish to turn a page may end up incredibly frustrated. Nook attempts to remedy these concerns by adding an additional touch screen option, but this has also been met with mixed reviews. The Nook’s touch screen option has a slow response time and has been met with derision from users. The Nook tries to trump the Kindle when it comes to available content, but the Kindle’s numbers can be misleading. The Nook is supposed to have over one million newspapers and books available to the user, while the Kindle only has roughly 360,000. However, the Nook inflates their numbers by counting an extra 500,000 e-books that Amazon already has available and does not include in their overall count. E-readers who are in search of the best prices typically choose the Kindle, as their prices clock in far below those of the Nook, by a whopping 15 percent. The Kindle can also use Sprint and AT&T’s wireless systems in order to connect the user to wireless internet. The Nook user is limited by their location. They can receive free wi-fi service at Barnes & Noble stores, but cannot connect to hot spots where a login is needed. Nook does include an additional feature for the lending of books that Kindle users are unable to access. The LendMe feature gives users the chance to lend a book for up to two weeks. However, there are several drawbacks that must be noted. The lender is not able to read the book while it is on loan, books can only be lent if the publisher has enabled the feature and only one third of the Barnes and Noble best seller list is available. There are major differences between the Kindle and Nook’s ability to be used across a multitude of platforms. Kindle users are forced to rely upon the Amazon file format, so there is zero comparability for users who make their purchases from a wide range of different bookstores. Amazon has tried to remedy this issue by providing an app for their users that allows them to read books that were purchased on their Apple and/or Mac products. 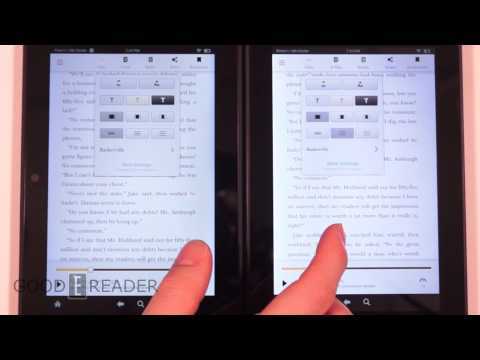 The Nook gives users the chance to download their books in a PDF format and read them this way, while the Kindle uses Microsoft Word and the Nook does not. Reliability and performance comparisons also tend to favor the Kindle. Experts have found that while the Nook’s easily removable battery, slimmer shape and memory card slot provide an advantage in hardware, the Kindle is still the superior machine in terms of speed, weight and efficiency. The Kindle is also considerably simpler for new users to figure out. The Kindle also possesses a battery life that is far superior to that of the Nook. If the wireless has been turned off, then the Kindle can last up to thirty days without ever needing a recharge. Meanwhile, even if the wireless has not been turned on, the Nook’s battery will last a maximum of ten days without being charged. For consumers who are trying to keep the costs of their e-reader low, the Kindle is available for as little as $79, while Nook prices start at a $99 minimum. These prices are dependent on bonus features, added technology and storage capabilities. Each of these e-readers possesses a different operational system. While Amazon’s Kindle is run through a Linux operating system, the Nook is powered by Android. There is no memory card slot on the Kindle or a port for memory expansion, two areas where the Nook is considered to be superior to the Kindle. Ultimately, the e-reader that the consumer chooses will depend on their own personal choices. Users who are in search of an e-reader that will provide them with a display that minimizes glare (for those who like to read outdoors), is constructed with a quality physical design, grants them more choices for adding personal touches and a greater access for additional storage, the Nook is the best choice. On the other hand, an avid e-reader who is in the market for a product with a colorful display, a library of books that are easy to purchase and/or rent and provides a bevy of helpful features straight from the Amazon ecosystem, then the Kindle will be the e-reader of choice. Users who wish to purchase an e-reader with fast response times and increased web browsing capabilities also typically opt for the Kindle. Before purchasing an e-reader, it is important to know all of the similarities before coming to a decision. However, it is more crucial to be aware of the differences during the selection process, as these will help you to make the best possible choice. Consider the differences between the Nook and Kindle carefully when it is time for you to decide. Ever since the computer was invented we have been evolving and working at incredibly quick rates, it was clearly the best type of technology that we could possibly come across. Ever since the computer was invented, it has been evolving on and on seemingly without any signs of slowing down. In the 1980’s, desktop computers started to be replaced by laptops. For the average user, laptops clearly had a lot more advantages, especially because of the portability. We are always on the move and we need devices to keep up with us. Then came in the netbook, a smaller version of the laptop that is used primarily for web browsing. Only a few years ago did the netbook start to become popular, but it had a reason to become popular: its smaller and lighter than the average laptop and it is better than a tablet when it comes to work matters. As such, people started to use netbooks more and more ever since 2008. Usually a netbook weights around half of what a laptop weights and on top of that it fits into places that a laptop does not fit into. As such, people can use it with a little bit more comfort and in a lot more places than a laptop. It is easy to store, it gets the job done and it doesn’t weight a lot. More often than not, a netbook is loaded up with a very light operative system such as Windows XP or Linux. This is because netbooks are usually used to browse the web and to write up a document or two, they are not too strong when it comes to hardware and as such they can’t handle strong operative systems on them or other type of strong software such as heavy games. Another great advantage that the netbook has over the laptop is the price. While the average laptop can be purchased at around $500, and the average Apple Macbook at $1200-$2500, the average netbook can be bought at the range of $150 to $600. Gaming laptops, however, can actually reach $10,000 but these are specifically built for professional gamers. Considering the portability the usefulness and the price difference between netbooks and laptops, it is clear that the netbook is gaining a lot of popularity as well as the reasons for it. They are going to keep on growing in the future and getting more and more sales, but they aren’t taking these away from the laptop market. 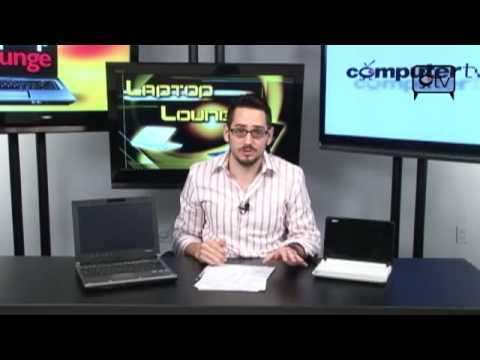 The laptop market is not going to die to the netbook market, mainly because of the lack of power that a netbook has. These are just seen as an alternative, light way to browse the web on the move. The Amazon Kindle Fire, that one tablet which is an upgraded version of Amazon’s simple e-book reader is a very attractive tablet. At just $159 it just looks really, really good. But then there is the Kindle Fire HD tablet at $199, and then you start to wonder whether or not it is worth it to put in $40 more for this other version of Kindle Fire. In this article, we are going to compare these two so that you can know whether or not it is worth it for you to pay a little bit more for the perks that you are going to get with Kindle Fire HD. Just remember that, at the end of the day, it is all up to you and what you think is best on your personal economy. Both of these tablets have access to Amazon Kindle Book library, they have access to video rentals, to Android Apps and to the Amazon App store. As such, it is likely that you are going to do a lot of reading in these tablets – you need one that will help you with it. Clearly, the first difference is going to come with the display. While Kindle Fire HD has the capability of displaying images in HD at 720p with a 1280 x 800 resolution, Kindle Fire is not able to reach 720p and, on top of that, its resolution is only of 1024 x 600. The higher resolution and quality on Kindle Fire HD mean that the text is going to look a lot sharper and a lot more complete. This means that if the text is complete and sharper, you don’t have to work so hard to fill in the gaps between the pixels on the text itself and that isn’t going to make your eyes work as hard as they would if you were just using Kindle Fire itself. If you look up images taken on both of these tablets, you will be able to clearly see the difference between one and the other. The design and features of both tablets ate just a little bit different, nothing that most users would notice. Even though Kindle Fire HD is a little bit thinner and a little bit lighter than Kindle Fire, the difference isn’t really big. 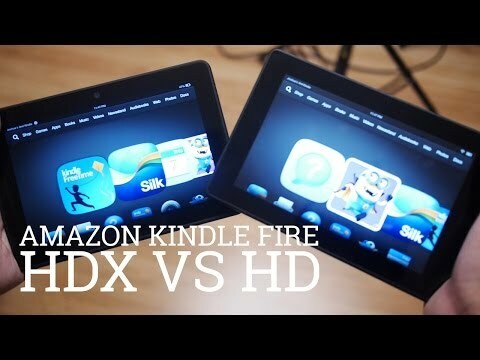 Noticeably, however Kindle Fire HD is a little bit wider than Kindle Fire. Kindle Fire HD might be $40 more, but it does come with twice the memory that Kindle Fire. While Kindle Fire has only 8 GB of memory, Kindle Fire HD has 16 GB of memory – that makes room for a lot of books. Moreover, Kindle Fire HD gets 11 hours of battery life in a single charge, while Kindle Fire only gets 9 hours worth. In a world with a lot of operative systems to look at and a lot of options to consider, it is hard to tell which one is going to suit your needs better and which one is going to slow you down instead of helping you reach everything you want to reach. As such, it is important to look at the options and to understand the differences that exist between the operative systems so that you can make an informed decision. In this article, we are going to look at the differences between Windows Server 2008 and Windows Server 2008 R2. To put things simply, Windows server 2008 is the server release of Windows Vista, while Windows Server 2008 R2 is the server release of Windows 7. As such, the R2 version introduced a lot of new features since it is a newer version. There is, however, a small upgrade difference between these two and, as such, there is compatibility between a lot of applications and that means that even though the differences are there, there is no need to trade applications and to start working in a different matter if you have one or the other. Essentially, the main difference that exists between these two is that there are new features in Windows Server 2008 R2 when you compare to its “older brother”. These new features give the user a little bit more control, which enhances the Windows experience all together. One of the new features is AppLocker. This is a feature that allows users to control the ability as to who can access a determined amount of files, all of specific types. This is amazing to protect sensitive information and to enforce policies within the team. Even though the feature was new, it can be used by existing Windows Server 2003 and 2008 servers without requiring a full upgrade. Then we have DirectAccess. This is a feature that is going to allow users in the corporate network wherever they are, and at any possible time. The only requirement is that they are a part of the corporate network and that they actually have a working internet connection. There is, however, the need to have a domain controller running so that users can access the network. 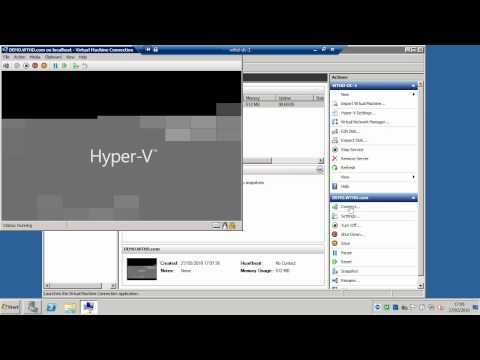 There are even new administrative features that are going to improve your experience in Windows Server 2008 R2 simply because they are going to give you a better control on everything that is happening. With these features you are going to be able to have a tighter grip on your own machines an your users. This is, of course, one of the most important things that came with the new Windows 2008 R2 edition, among other things.